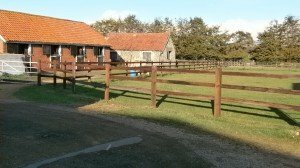 An update on one of our more unusual projects, the Brickfield Stud at Newmarket, which has been ongoing for some time. RWS have submitted planning applications to redevelop parts of the site to allow it to move into the 21st century. The main house “Etheldreda” was constructed in 1878 and has not been refurbished since 1980. The house has 14 bedrooms and 15 bathrooms split over 3 floors. The building is in a dire need of a complete overhaul after being damaged by water ingress, vandalism and general lack of maintenance and repair. 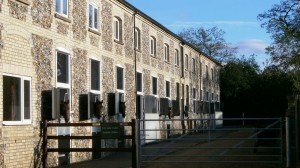 Stable blocks have been refurbished by RWS so that they are now suitable for thoroughbred race horses. The Brickfield site can currently house 54 boxes with hopeful applications to expand this in the future to provide newer undercover areas to allow work in all weather.